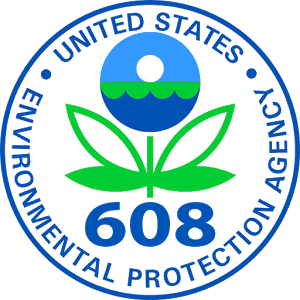 Need EPA 608 certification? NTI in Las Vegas is the place to go. National Technical Institute offers an EPA certification seminar and exam independently from the full HVAC/R certification programs. If getting EPA 608 certified is all you need, then give us a call or register online now to get a seat in the next EPA 608 certification course in Las Vegas. The EPA course includes review, preparation for the EPA 608 Universal Certification Exam, plus taking the exam itself. The course is quick – only 2 days – the course is cheap – only $100 – and it gives you just want you need to get certified. The best part is that it’s taught by experienced NTI instructors with real HVAC/R industry experience, so you’re not getting taught by someone just reading out of a book. NTI offers the EPA 608 certification classes multiple times a year, so inquire now about the next course date or REGISTER ONLINE NOW TO RESERVE YOUR SPOT.